Do you have a Magic Closet? I learned to keep a magic closet from my mother. She was a master at entertaining young minds and keeping small hands busy, especially on those days when the weather prevented us from going outside to play or when we were recuperating from an illness. Rainy days could easily have spelled trouble for a Mom with a house full of bored kids all looking for something new to do. Mom's Magic Closet was always stocked with boxes of crayons, colored paper, yarn, glue, scissors, buttons, fabric, thread, old magazines, and spiral notebooks along with any craft supplies she could get her hands on. She taught us to make rag rugs with strips of cloth, how to crochet, knit, and sew. We made colorful scrap books out of magazine clippings, post cards, greeting cards, and tags. I learned to create 3-D art by using bits of odds and ends, this and that, and glue and tape! The Magic Closet was reserved for special occasions only so that the things contained within were the most coveted in the house! I carried on the tradition of the magic closet when my kids were young, adding a few extra items to the basic craft supply stash like coloring books, art kits, and craft kits . Learning a new craft or enjoying an old one is the best way to chase away rain clouds and foster creativity! In this age of electronics, it might be fun to hold a once a week craft day with your children or grandchildren. It would be easy to do with a well stocked Magic Closet! 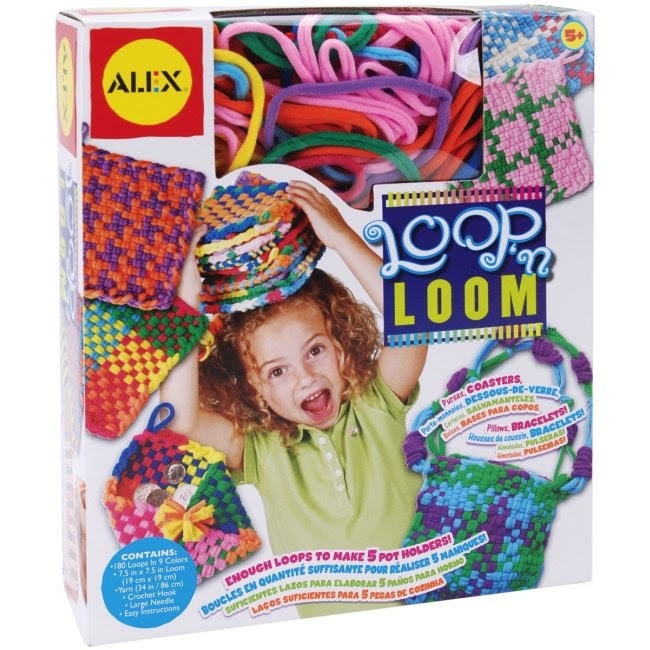 The Loop N Loom Kit is a traditional weaving activity kit for kids to create colorful potholders, coasters, purses, and more! Kit includes one 7.5" x 7.5" loom, 180 loops in 9 colors, yarn, crochet hook, large needle & easy instructions. Enough loops to make 5 pot holders! This is an easy craft kit for kids to learn to weave using a loom. We also carry packages of extra loops! Kids of all ages can enjoy hours of creative play and make beautiful and useful gifts for friends and family! 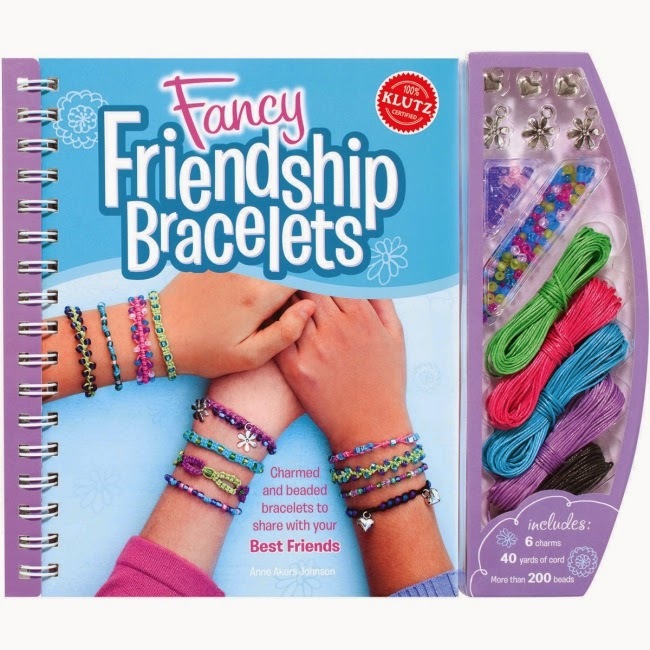 The Fancy Friendship Bracelets Kit is a Klutz jewelry making kit for kids and teens. Learn how to make charmed & beaded friendship bracelets! Kit includes a full-color instruction book, 5 colors of cord, over 200 assorted beads, and 6 charms. The 60-page bracelet making book includes detailed diagrams and super-simple instructions for making 10 different fancy friendship bracelets. Kids will have fun creating a variety of friendship bracelets to wear and share! Ages 8 & above. The Stencil Art Kit from Klutz is an easy art kit for kids to create endless amazing art. Kit includes a full-color instruction book, 8-color pigment ink pad, 8 foam-tip dabbers, 1 black felt-tip pen, 4 stencil sheets with 72 different shapes, and a handy storage box. The 48-page book includes easy to understand instructions, tips & techniques, plus plenty of art inspiration. Kid-themed stencil shapes & cool background designs make it fun for kids to create their own colorful works of art right inside the book! Ages 8 & above. Do you have a budding artist who loves Manga? 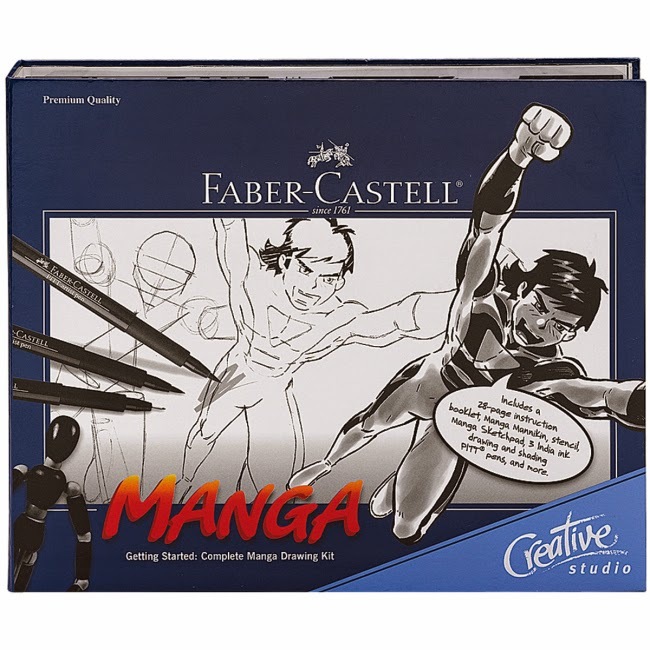 This learn-to-draw kit from Faber Castell will have them creating Manga Super Heros in no time! 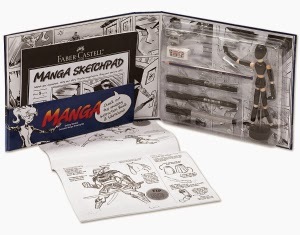 This complete drawing kit comes with a 28-Page illustrated manga instruction booklet, manga sketchpad, manga stencil, manga mannequin, black PITT artist brush pen, grey PITT artist brush pen, superfine black PITT artist pen, Faber-Castell graphite HB pencil, pencil sharpener, and eraser. All PITT artist pens are acid free, archival, and waterproof. You'll have all the tools, supplies, and instruction you need to learn how to draw manga characters and backgrounds. Soon you'll be creating your own manga scenarios! Recommended for adults & teens. Faber-Castell is one of the world's leading manufacturers of quality art supplies. Another traditional craft with a modern twist that never goes out of style are Crochet Granny Squares! 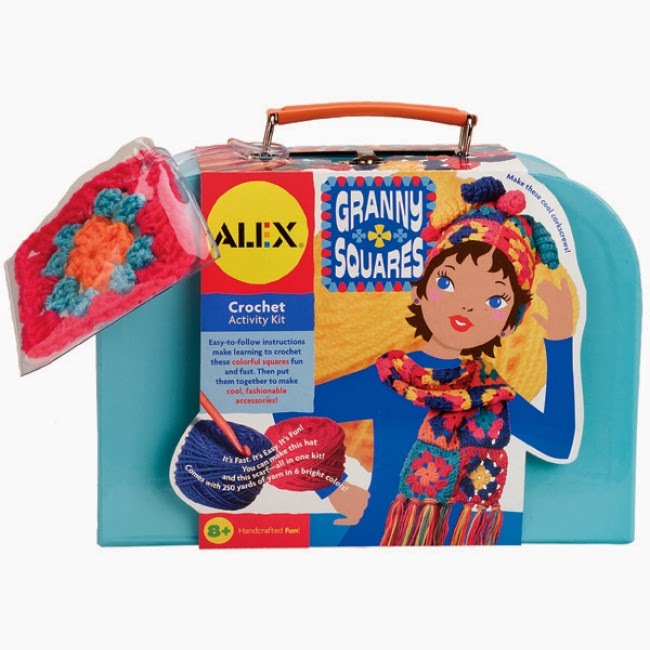 The Granny Squares Crochet Activity Kit from ALEX includes easy-to-follow instructions to make learning to crochet fast and fun. Kids will make these colorful crocheted squares just like Grandma. Then, they'll learn how to bring them together to make cool, fashionable accessories. Learn to make scarfs, blankets, headbands and so much more and it's fast, easy, and fun! The convenient carrying case comes complete with crochet hook, plastic needle, colorful yarn, and easy instructions. Let's keep the magic alive!